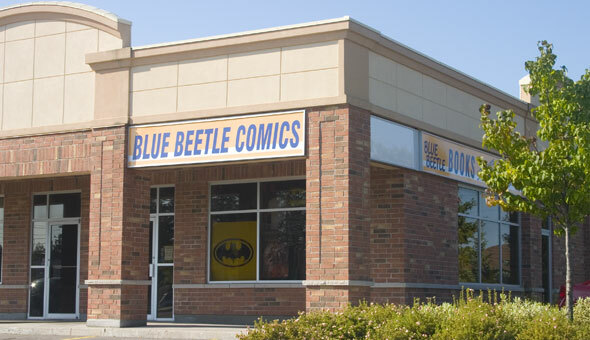 Blue Beetle Comics is at 241 Essa Rd. in the Clovergate Plaza near the intersection with Ardagh Rd. in Barrie. Blue Beetle specialize in new and old comics, graphic novels and trade paperbacks as well as manga, toys and other goodies. They also host author events, book launches, fundraisers and other events. Ardagh Rd. / Essa Rd.